One characteristic contributing to the great success of Ciel du Cheval Vineyard is the high pH found in the loam topsoil of Red Mountain, courtesy of the calcium carbonate deposits left by the ancient Spokane floods. Temperatures in the vineyard rarely reach above 95˚F which is ideal for vine development and fruit ripening. In fact, with just less than 3,000 "degree days" per growing season and as much as 3 more hours of sunlight per day than the Napa region, owner Jim Holmes is able to grow grapes with great concentration and balance. 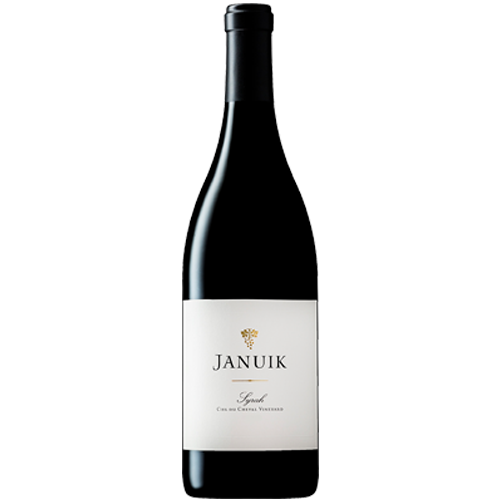 This Syrah has a dark ruby red color and is brimming with plum, cherry, and raspberry notes on the perfumed nose. There are hints of spice and black tea which balance the fruit flavors. Its supple entrance onto the palate is followed by a nicely refined structure and a long seemingly endless finish.